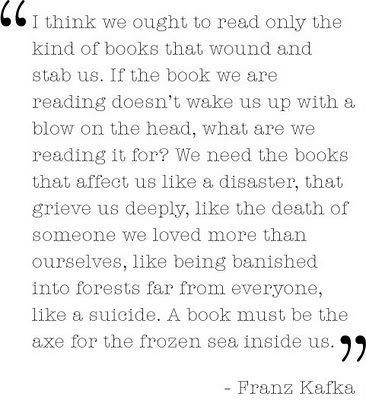 I’m always asked why I read depressing books. Why would I read about the holocaust? Why would I want to read stories that make you cry? I was never able to answer these questions. I have always been drawn to darker literature. Anyways, I found this quote that explains it way better than I ever could.